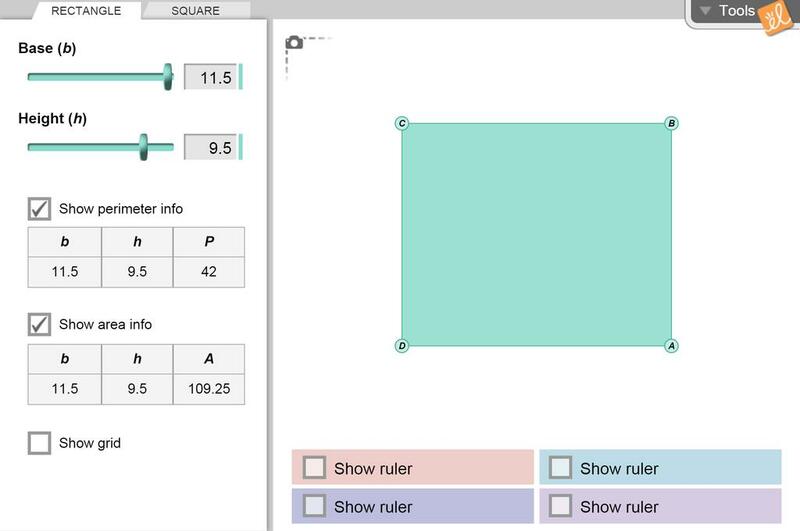 Discover how to find the perimeter and area of a rectangle, and of a square (which is really just a special case of a rectangle). Question to try: One rectangle has a greater area than another. Does its perimeter also have to be greater?